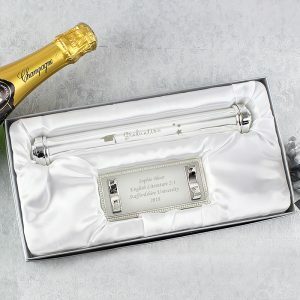 It’s graduation time again, and our Personalised Silver Plated Graduation Photo Frame is the ideal setting for that very special photograph. 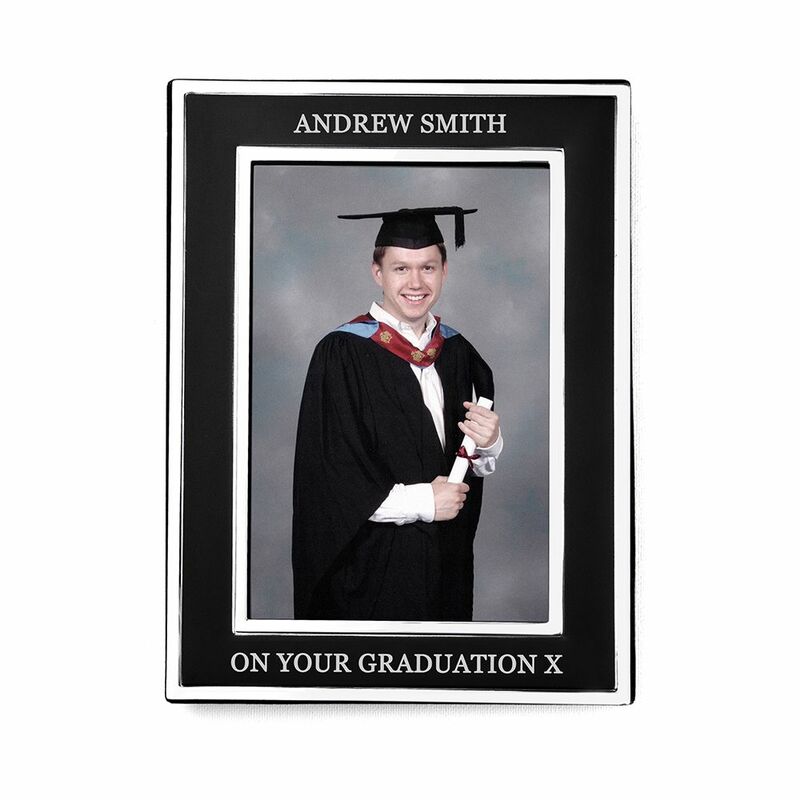 A stylish matte black photo frame with silver plated edging, and one that will hold a 6 x 4 portrait photograph. 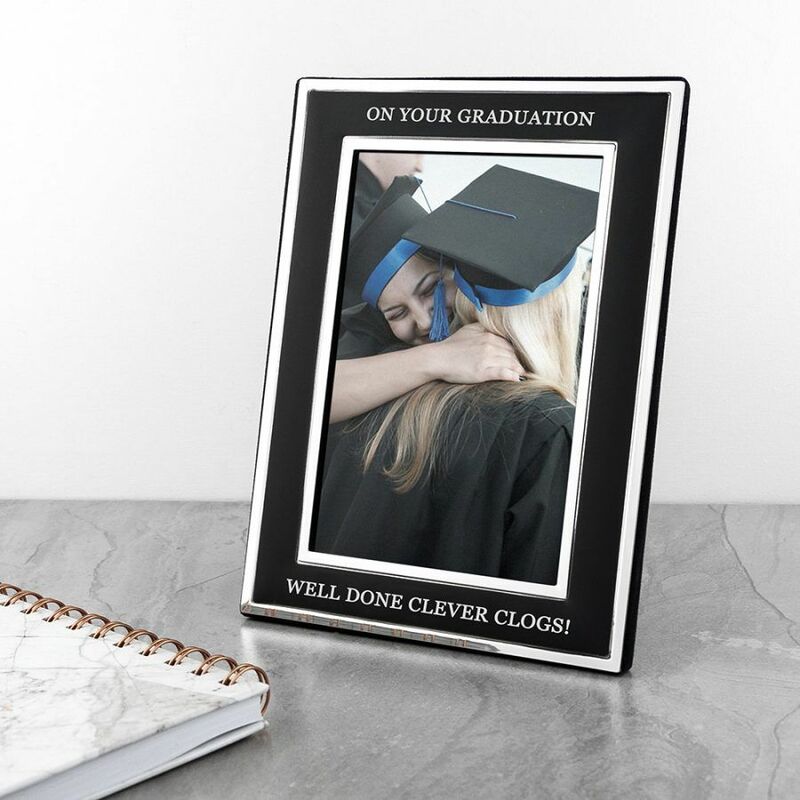 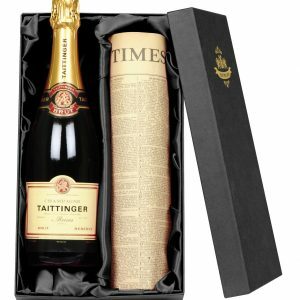 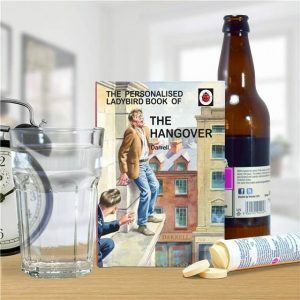 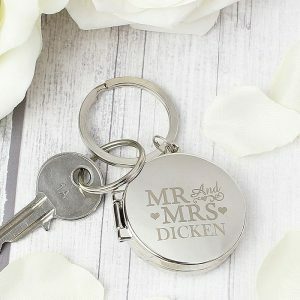 You can also add a message to the frame over 2 lines 25 characters per line is permitted, and these will be engraved above and below the photo slot. If you have a friend, son or daughter about to graduate this photo frame will make a thoughtful gift for them. 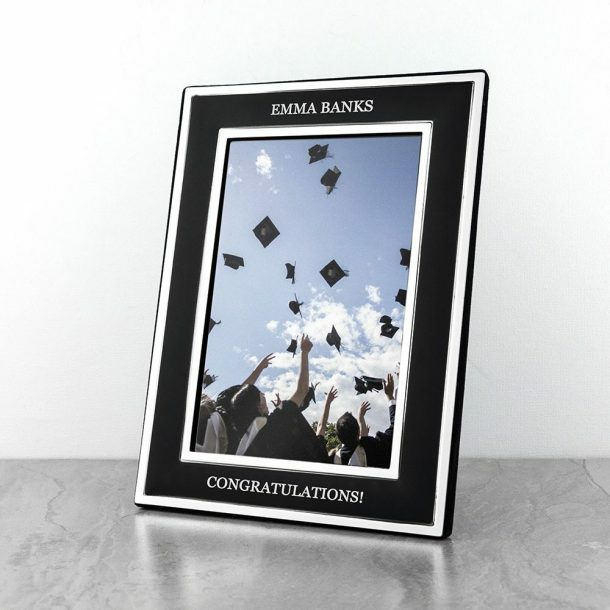 They’ve worked so hard to achieve their diploma or degree so ”Congratulations” is certainly in order!